If you are considering equipping your garage with auto body tools, there are several mandatory tools out there that you will need. Auto body shops, which specialize in collision repairs, focus mainly on dents. However, there is a whole world of trendy painting and airbrush techniques that several auto body shops add to their offerings. Some of the materials that you will need include paint, body fillers, safety gear, abrasives, polish, bumper repair materials, and rust proofing. You also will need air sanders, which smooth out finishes on automotive bodies and anything with a wood finished. Air sanders use compressed air to get the job done. You also will want to consider a hydraulic or manual riveter so that you can quickly fasten rivets. Chisels will help you cut into a material, and flange tools ad ribbing for additional support on beams or wheels. Air nibblers are an essential metalworking tool you will need in your auto body shop, and these devices also function on compressed air. Don't forget windshield remover tools, drills, drill bits, welders, and floor jacks. There are certain tools auto body use every day, and these include straight die grinders, air drills (1/2 and ¼), 2-inch cut-off tools, dual action sanders (or SA sanders), orbital air sanders, straight line air sanders, air hydraulic riveters, manual riveters, air hammers, air chisels, air ratchets (1/2, ¼ and 3/8), impact wrenches (1/4 inch to 1 inch), air flange tools, air nibblers, air shears, windshield removal tools, spot cutters, drill bits, spot welders, plasma cutters, mig welders, 14-volt cordless drill, tool boxes and cabinets, hose reels, air hoses, hydraulic pump, ratchets, sockets, torx bits, and body hammer and dolly sets. For a good auto body hammer kit, consider the Neiko 7-piece set, in which the tools with fiberglass handles arrive in case. Kit features include malleable casting steel, standard bumping and blow mold and accessories include a one-piece dolly (curved), a utility dolly, a double-end hand dolly, a shrink dolly, a pick and finish hammer, and a reverse curve hammer. Tooluxe manufactures a highly recommended seven-piece all-steel frame repair kit, which comes with an assortment of rams (large, mini and pull-back), clevis-hook caps and a metal case. The various hydraulic rams allow for more versatility when repairing frames. For smaller accessories, consider a dent puller, plastic spreaders and a three-position file holder, all of which can be found at your basic hardware store. E-commerce has really changed the climate of auto body tool sales and has given customers a lot more choice. 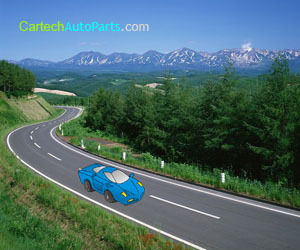 Below you will find some good places to stock up on auto body tools. Auto Body Tool Mart is a popular website that provides you with air tools, abrasives, chains, clamps, craftsman and dent repair tools, frame strengthening devices, diagnostic equipment, hydraulics, windshield and glass supplies, pain and pain accessories, metal shaping devices, and coatings. The Tool Mart is fully stocked in two warehouses, has been in business for more than 25 years, and boasts same-date shipping. They also are the manufactures of the line of Champ frame straightening equipment. Tools USA, which has been in the market for more than 30 years, also is a popular choice. The North Carolina-based company, which includes subsidiaries and a full customer service team, has a paint booth specialist as well as experts in frame machines and collision equipment, and PBE supplies. Eastwood, based in Pennsylvania, offers tools and supplies for abrasive blasting, airbrush, auto body, buffing, hoe coat powder buffing, interior repair, metal fabrication, painting, pin striping, rust prevention, soda blasting, and specialty coating. They offer online promotions such as 10% everything in the store.